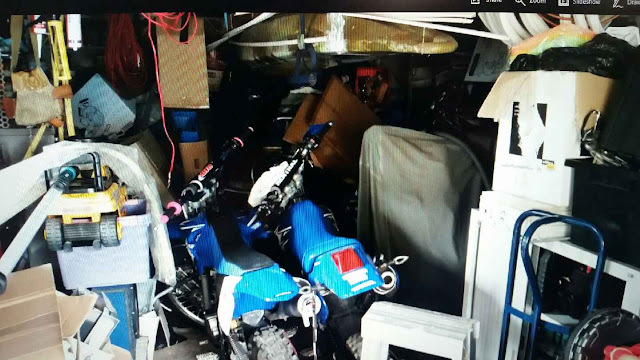 Oh no...... on the other end of the spectrum are those of us with 5 (now 4) bikes in a one-car garage that also contains 4 bicycles, the washer/dryer, a workbench, table saw, and chop saw. PolarBear calls it moto-Jenga when we try and get the bikes in and out, more like Tetris really. Ohhhh....GOD....why do bad things happen to nice motorcycles!! !